Poor financials, a deteriorating stock price and investor unease over a difficult nine-month stretch have pushed hospital chain Tenet Healthcare Corp. out of the Standard & Poor's 500, a blue-chip stock index. Ulta Salon, Cosmetics & Fragrance, a beauty store chain, will replace Dallas-based Tenet in the S&P 500. Tenet will move to the S&P MidCap 400. “Tenet Healthcare has a market capitalization that is more representative of the mid-cap market space,” according to a news release from the S&P Dow Jones Indices. Tenet's market capitalization was about $2.8 billion as of Thursday. That's down more than 50% from just last July, when Tenet's market cap exceeded $6 billion and when the hospital company's stock was trading at more than $60 per share. Tenet closed trading Thursday at $28.52 per share. By comparison, HCA, the largest for-profit hospital operator in the country, has a market cap of $31.4 billion. HCA joined the ranks of the S&P 500 in January 2015. A large activist investor grew impatient with Tenet earlier this year. Glenview Capital Management, a New York City-based hedge fund run by billionaire Larry Robbins, forced Tenet to add two Glenview partners to its board of directors, although the sides say the stand-still agreement was friendly. 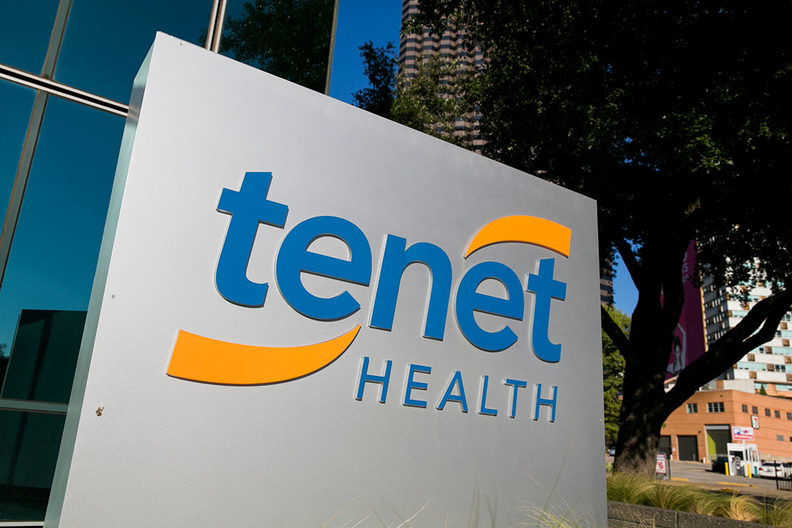 Tenet lost $140 million last year, which was fueled by a large False Claims Act settlement and winnowing benefits from the Affordable Care Act's newly insured population. The company also appointed a new president of hospital operations last month. Tenet CEO Trevor Fetter's compensation dropped 14.5% last year as a result. He still made $15.4 million.